Unicorn Brewery, Paxton Terrace, Burra (In Brewery yard). This brewery was established by William Banks in 1873 when the population was declining. However as nine hotels remained in the town it was seen as an opportunity for the expansion of trade. The newly expanded railway provided the means for transporting barley and brewery machinery, bottled and casked beer. 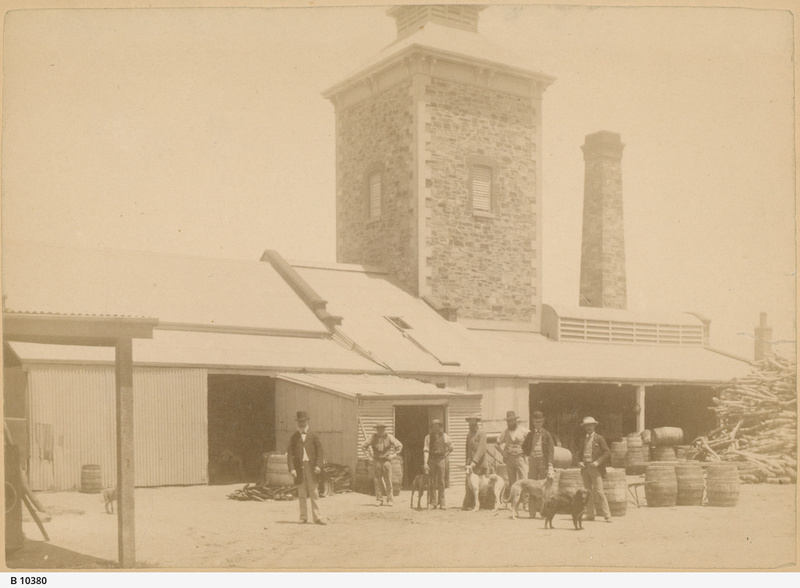 The photograph shows the workers and their dogs standing in the brewery yard.